Amethyst Haze is designed with amethyst rectangle gemstones and Amethyst Swarovski crystals. 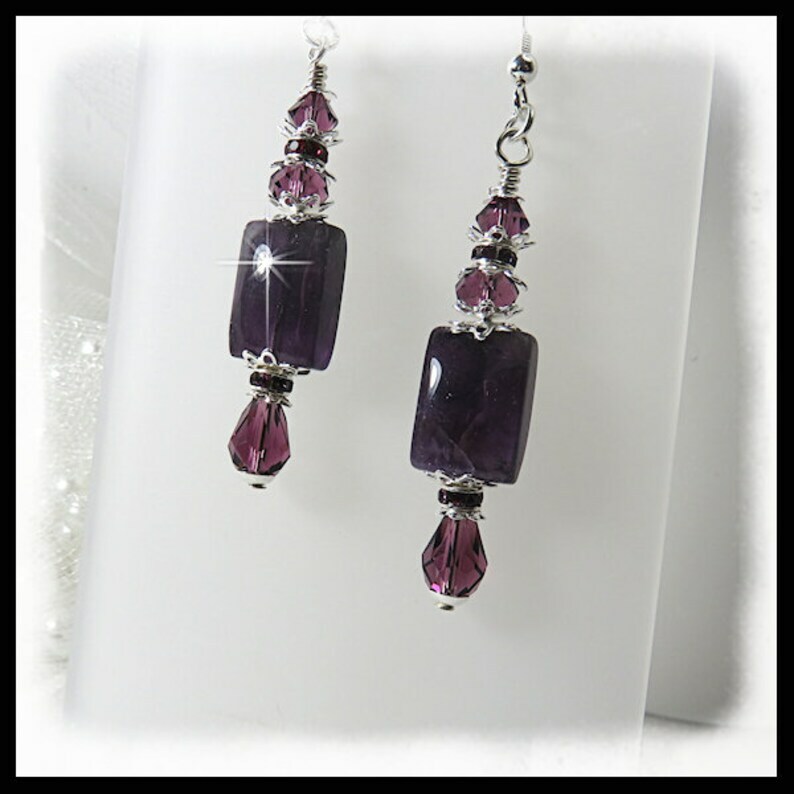 The Amethyst swarovski rondelles add a bit of sparkle to the earrings. The gemstones hang from sterling silver ear wires.